Travelers on the Grand Tour rattle off European capitals like Rome, Paris, and London, but who ever goes to Nuuk? 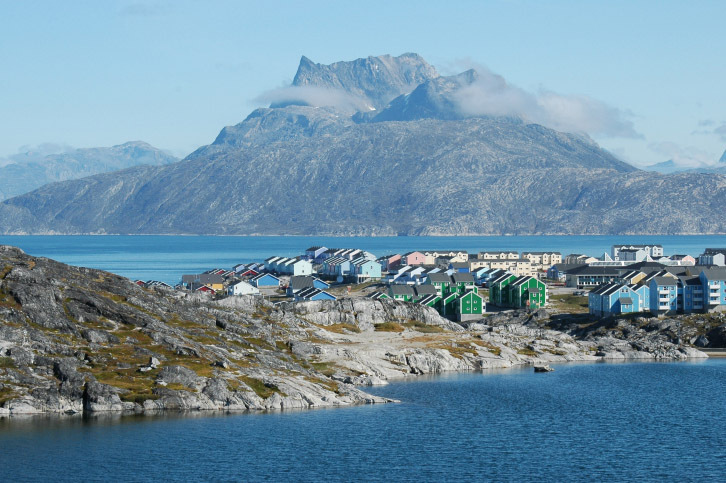 Greenland’s capital is relatively undiscovered by tourists. The Arctic destination offers many of the same attractions as Iceland—Northern Lights, dog sledding, skiing, hiking, and whale-watching—but with even smaller crowds. The city features a colonial harbor, a fish market, cathedral, and the National Museum. Venture out onto the water to explore Nuuk’s massive fjord system and see stunning icebergs. Nuuk also boasts a thriving contemporary art scene, and a number of local restaurants offering national delicacies like reindeer and musk ox. Visit in August for the Nuuk Marathon, a challenging route with many hills that competitors must run twice, often in wind, rain, and arctic temperatures. Where is it? Smack in the middle of Greenland. Fly to Nuuk Airport (check prices). Where to Stay? In the city center at the Hans Egede Hotel. What Else Should I Know? Be warned that winters in Nuuk are cold and snowy, with short daylight hours. Better to visit in the (relatively) warmer and brighter summer. Who’s it For? Nature-lovers, people who like the cold.